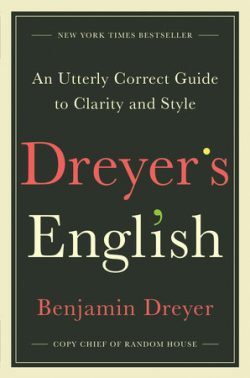 We talk with Benjamin Dreyer, author of the surprise best seller, Dreyer’s English: An Utterly Correct Guide To Clarity And Style. Then, we re-air our 2007 interview with Kitty Burns Florey about her book Sister Bernadette’s Barking Dog. It’s all about the arcane joy and usefulness of diagramming sentences. Even though he’s Random House’s chief copy editor, Benjamin Dreyer was pleasantly shocked when his book about copy editing took off as a bestseller within days of being published. Evidently a lot of people want to improve their English–despite the influence of Twitter. Dreyer’s two decades at Random House have made him a master in the art, as well as the craft, of copy editing. He burnishes manuscripts to a gleam so that the author’s voice can really shine. Benjamin Dreyer is copy chief of the Random House division of Penguin Random House and its managing editor. Ah, the arcane delight of diagramming sentences! 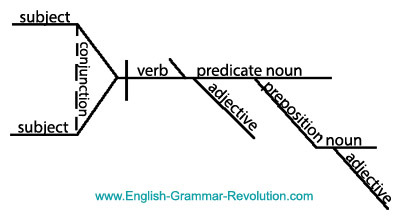 Instituted as a way to teach children grammar, diagramming sentences was taught in elementary schools in the early years of the 20th century until the 1970s. Many decry the poor grammatical skills of today’s college students, who were born after diagramming sentences went out of vogue. Is there a connection? 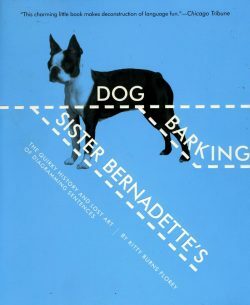 We can’t know, but we can brush up our writing skills by consulting Kitty Burns Florey’s charming and instructive book, Sister Bernadette’s Barking Dog. Florey was a copy editor for many years and is the author of twelve novels, two works of nonfiction, a dozen or so short stories, and many essays. She spoke to WV in 2007.